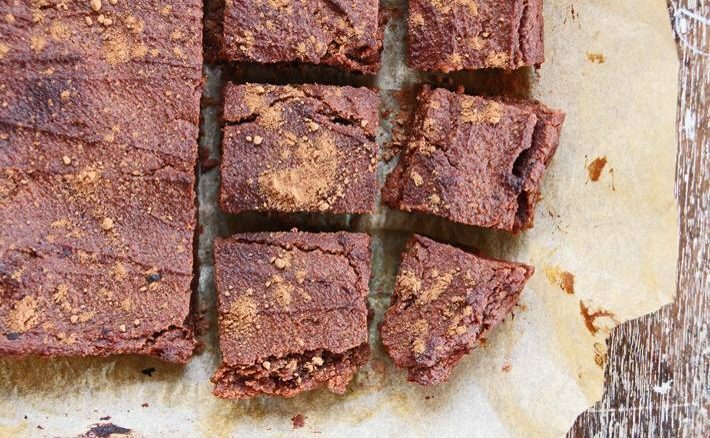 This simple and delicious recipe turns one of the most praised superfoods into an all-time favourite treat, the healthy way. There is a lot of talk about the never-ending benefits of sweet potato, so why not give it a try? To begin, bake one sweet potato in the oven for 25-30 minutes at 425 degrees Fahrenheit (220 degrees Celsius), being sure to puncture it with a fork. When the sweet potato is soft, remove from the oven and turn it down to 350 degrees (180 degrees Celsius), then peel off the skin and mash it all up in a bowl. Next add all wet ingredients: 3 eggs (whisked), ¼ cup of melted coconut oil, 1/3 cup of raw honey and 1/4 tsp of vanilla extract to the bowl and mix them all together. Finally, mix in all the dry ingredients: 3 tbsp coconut flour, 2 tbsp cocoa powder, ¼ tsp of baking powder, ¼ tsp of cinnamon and ½ a cup of chocolate chips. Pour mixture into a glass baking dish and bake for 30-35 minutes. Last but not least, remove from oven and leave to cool before trying not to devour all of these gooey brownies in one sitting.